There are many written and unwritten rules on how to use Twitter and Facebook for marketing. Some may say, “ retweet this way” or “reply to Facebook comments” that way. The most helpful of these rules are the ones based on hard data. Eric Boggs of Argyle Social shared a new–and sometimes surprising–take on theses rules during his session, “Data Driven Social Media Marketing” at the Social Fresh Charlotte conference this week. Argyle Social collected the following insights from 70,000+ posts from December 2010 through May 2011. 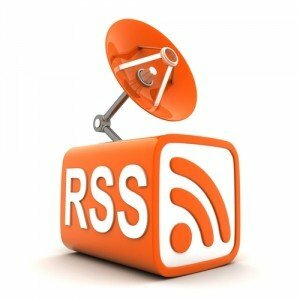 You’ve likely seen that lonely RSS feed connected to a Twitter account and suddenly it appears in your stream–even though you know that person is not online. Do you think this is a bad thing? The data revealed that automating a post on Facebook or Twitter is just as effective as posting it manually. The number of click throughs and the revenue generated by both methods was equal. So, getting your content out there is important, but so is timeliness. The data showed that scheduled posts result in clicks and driving traffic, but not as many conversions or actions. What can you take away from this? Simply scheduling your posts is not always enough to drive your audience to action. While over curating was demonstrated to be ineffective (because your audience never finds its way back to your site), over-promoting actually saw some success. Boggs explained that an increase in clicks is driven by an increase in posting frequency and sharing more engaging content. Guy Kawasaki is the classic example of the over-promoter who still produces results. Relying on promoting your own content of course requires the ability to create lots of content. The best technique to generate the most click throughs and conversions is a balanced approach. What assumptions do you make about marketing on Facebook or Twitter? Have you looked at the data to see if you are right?